In the early days, Fraser Church wasn’t in Tottenham, wasn’t called Fraser and wasn’t yet a church. Irish Presbyterians were among the first settlers in the southern township of Tecumseth in Simcoe County. While facing the challenges of pioneer life these newcomers placed a priority on worshipping God, but had no church in the largely unbroken wilderness of Tecumseth township. And so as they arrived in the 1820s, they joined the church at the Scotch settlement in the neighbouring township of West Gwillimbury, which accepted Presbyterians of all stripes. The congregation there, possibly the first in all Simcoe County, was organized in 1822 by the Rev. William Jenkins, a minister connected with the United Synod of Upper Canada. Although Rev. Jenkins was based in Richmond Hill, he traveled extensively and occasionally visited the settlement until the congregation called its own minister. Arriving from Scotland in 1830, the Rev. Peter Ferguson was officially inducted by the United Synod in the spring of the following year. The congregation expanded into multiple preaching stations, and it was likely around this time that the Presbyterians in west Tecumseth began to have a minister regularly lead worship and preach the gospel in their area. The situation was looking promising for the expanding congregation until Rev. Ferguson left in the spring of 1832 to become the minister of a church further west in Esquising. After his departure, the congregation moved in different directions. While many members held to the voluntary principle and did not believe a church should receive money from the state, the Scottish majority in West Gwillimbury voted to break off from the expanded congregation and find a minister of their own from the Church of Scotland. By becoming a congregation of an established church of Great Britain they could receive clergy reserve money from the Upper Canadian government to pay for their minister. The remaining congregation then held their own meeting and voted to stay within the United Synod of Upper Canada. Despite this division, they shared the use of the original meeting house in the Scotch Settlement for a few years. Although reduced, the congregation proceeded to seek their own minister and on October 9th of the following year, James Howey of Ireland was ordained and inducted to the charge. The relief was short-lived, however, as Rev. Howey had contracted tuberculosis and became too sick to complete his first worship service. The congregation carried on without the services of their minister or any support from the United Synod, which had begun to seek a merger with the Church of Scotland. It would be more than a year later that, by God’s grace, help would finally arrive through another Presbyterian body, the Missionary Presbytery of the United Secession Church of Scotland. This small band of voluntarist missionaries had originally planned to work with the United Synod of Upper Canada, but learning of the Synod’s plan to join the Church of Scotland, they decided it best to form their own presbytery. They began establishing congregations mostly west of Toronto, but sent the struggling congregation in south Simcoe two missionaries in turn. On March 27, 1835, being appreciative of the support and in compliance with the Rev. Howey’s dying request, the congregation voted unanimously to join the Missionary Presbytery. Two months later they sent a letter to the second missionary requesting that he become their settled minister. Although this meant giving up his original mission of reaching the Gaelic-speaking population, he accepted the invitation and began serving the congregation on August 9th, 1835. He bought a farm on the west end of West Gwillimbury, and donated some land for a church and cemetery in what became Bond Head. He was officially inducted as their minister on June 17, 1836 and organized the Presbyterians in West Gwillimbury, Essa and Tecumseth into three growing congregations. That minister was the Rev. William Fraser. In western Tecumseth, before a church was built, worship was held at the home of James Ellison on the Second concession. But these services took place there only once a month due to the minister’s other preaching responsibilities in West Gwillimbury and Essa. After Rev. 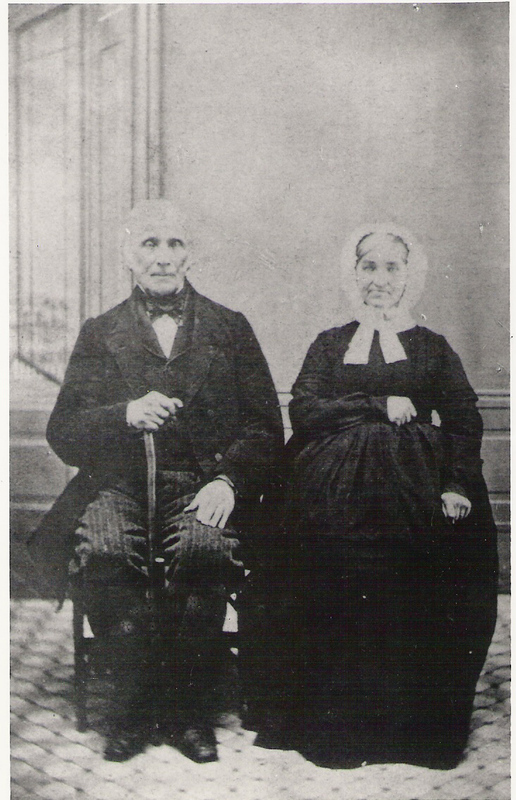 Fraser ordained three new elders on July 12th, 1836, the congregation transitioned from monthly to weekly worship and within four years grew from 5 to 28 members. An acre of land was purchased on the 3rd Concession, just northwest of the Ellison home, and by the early 1840s a log church had been built. By 1856 the congregation’s growth justified becoming a single point and a new frame church was constructed around 1860. 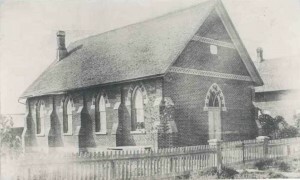 This building served the congregation until the move in 1881 to the current brick church in Tottenham. By the 1930s the church was raised to create a downstairs hall. In 2001 the west end was extended to increase the sanctuary and create a nursery space downstairs. The newest addition, an accessible entrance and lift, was added on the south side in 2014. However, the main structure from 1881 still stands as one of the oldest church buildings in New Tecumseth. In official records, the new congregation was simply referred to by its l ocation “Tecumseth”. 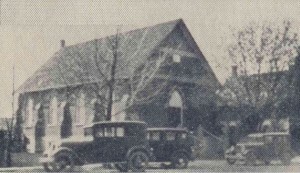 This later became “1st Tecumseth” when a new congregation was started in Beeton in 1859. However, according to local history it was also called “Ellison’s Church” after the congregation’s original host [pictured left] which likely continued until the move into Tottenham in 1881. 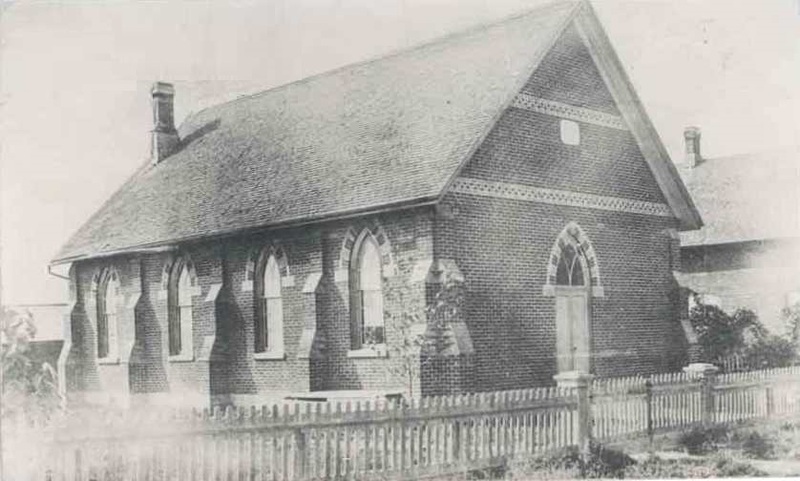 On November 24th, 1885, the congregation was officially named “Fraser Church” in honour of the minister who had arrived 50 years earlier and organized an enduring congregation from the settlers who first gathered for prayer and praise at the Ellison home. The Rev. Jonathan Dennis has been the minister of Fraser Church since November, 2010.